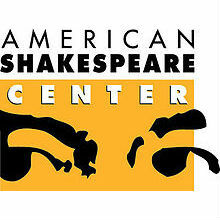 The first session of the American Shakespeare Center Theatre Camp will complete their camp experience with performances of Titus Andronicus; Henry IV, Part 1; and The Sea Voyage on July 9 at 12:00. Twice each summer, the ASC Theatre Camp plunges high-school students into three weeks of intensive and immersive programming in Staunton, Virginia – home of the American Shakespeare Center and the world’s only recreation of Shakespeare’s indoor theatre: the Blackfriars Playhouse. Students stretch their comfort zones and emerge not only with greater control over their craft and more preparation for college, but also with more confidence, more capability, and more capacity for growth and change. ASC Theatre Camp participants are housed in the Mary Baldwin University dorms and can enroll for college credit through MBU. The first session performances are directed by Matt Minnicino, Molly Seremet, and Glenn Schudel. Performances are free and open to the public. More information is available at www.americanshakespearecenter.com and www.asctheatrecamp.com.